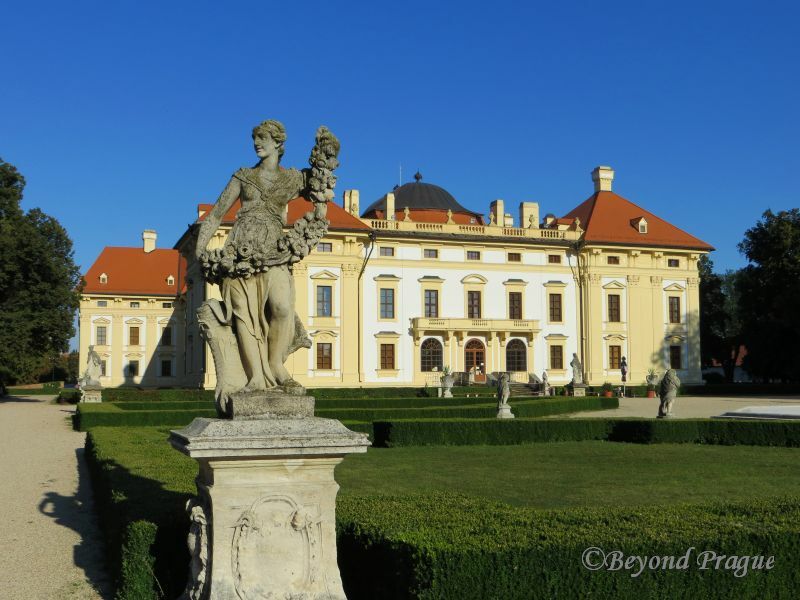 This baroque styled chateau in the town of Slavkov u Brna is one of the oldest and best preserved chateaus in the Moravian regions. The foundations of the present chateau incorporate an older structure possessed by the Teutonic Knights in the early part of the 13th century; aspects of this older structure have remained clearly visible to the present. 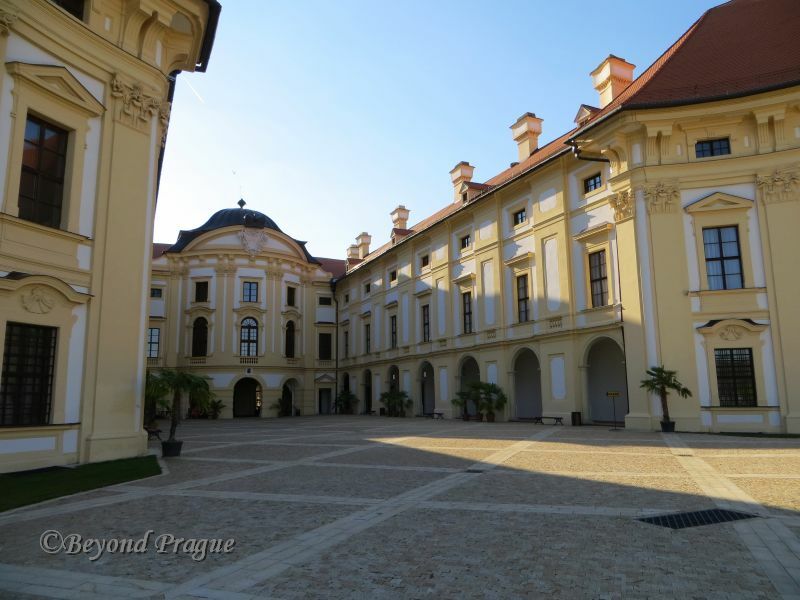 In the early 1500s, Slavkov and its surroundings came under the ownership of the Kaunitz family of very old Moravian aristocratic heritage and it would remain in their hands for more than four centuries. Towards the end of the 16th century, the chateau had been completed in renaissance style though plans to rebuild it in baroque style were in place by the end of the 17th century. The baroque reconstruction took most of the 1700s to complete. The chateau received status as a national cultural monument in 2008. A view of the back of the chateau from the gardens. Under Habsburg rule, as the Czech lands were for centuries until 1918, many Czech municipalities were given Germanic names; in the case of Slavkov u Brna, that name was Austerlitz. While the town is best known for lending its name to the battle which went down in history as one of Napoleon’s greatest victories, the battle actually happened several kilometers away from the town. There are stories which attempt to connect Napoleon to the chateau, including one legend connected to a reconstructed bed which is on display in the building. According to the legend, Napoleon is said to have slept in that very bed the night prior to the battle. However, given the physical distance between the town and the actual battlefield it is much more likely that the man spent the night before the battle camped along with his men at the site of battle. Slavkov u Brna is not at all difficult to access by train from Brno and the chateau is a short walk across the town from the train station. The chateau is very popular and well set up for handling international visitors; signage is in English, French and German as well as Czech. 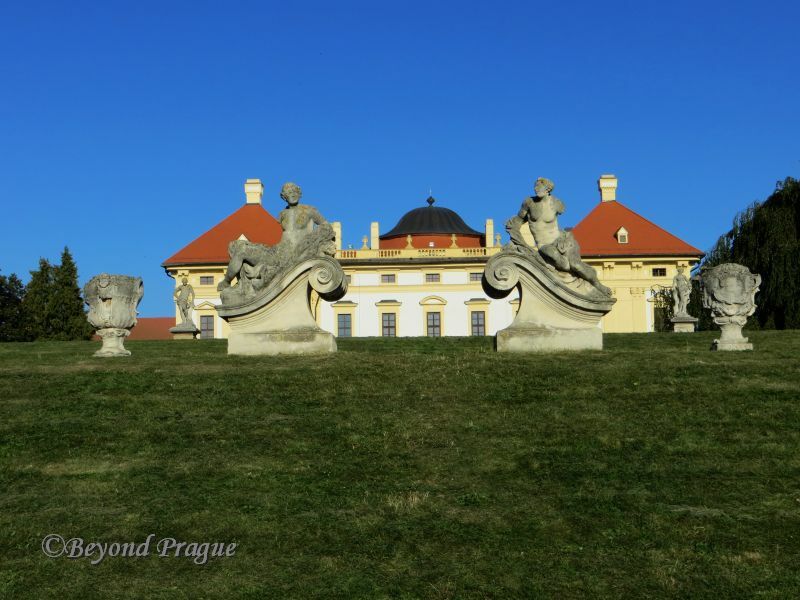 Tours in languages other than Czech can be arranged, though transcripts in a variety of other languages can be requested that will allow you to travel with one of the more frequent Czech language tours if you wish. The chateau is a very popular place for weddings so don’t be surprised if you see more than one wedding taking place if you visit during the high season. While a ceremony might be happening in one area, a photo session could be going on in another.